Max and Stacy look at an interview with geographer, Christophe Guilluy, who first wrote of ‘France périphérique’ in 2014. 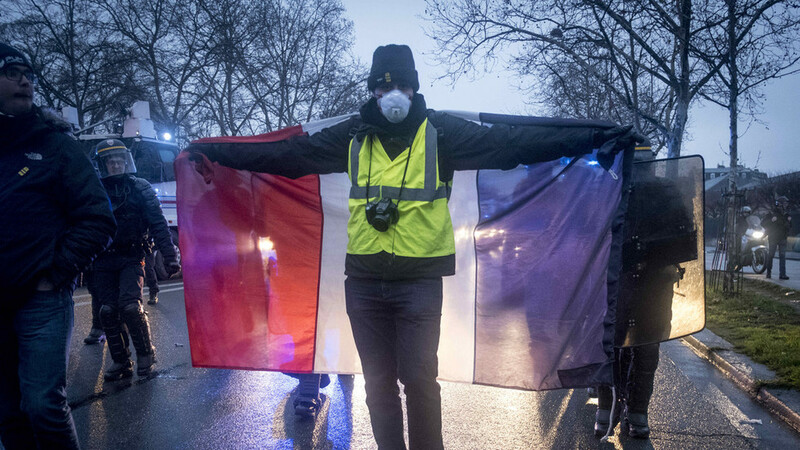 Now in 2019, as this peripheral France rises up in the Gilets Jaunes movement, we see this sharp economic and cultural divide play out not only in the streets of France but in the pages of celebrity magazines and the cable news channels of the metropolitan elite. He suggests that the silence of the celebrity and hipster class shows they are afraid of and cannot know the deplorables and the indignados of the class of people left behind by globalization and money printing. While hipsters and the metropolitan elite are absolutely certain of their progressive credentials, the fact is “they are very much complicit in relegating the working classes to the sidelines.” Is ‘soft totalitarianism’ going to keep this cultural divide safely at bay? Or will the gap be filled when the Gilets Jaunes, the deplorables, and the indignados get a seat at the Davos 2020 table?